Within a year, the bunny has enslaved the children of Kidville (at least that was my reading). For some reason, he convinces them they need to introduce capitalism and trade with their neighbors across the Big Rock Mountain. He sets out with a basket of eggs on Easter, only to run into "Gadzooks," the crappiest carbon copy of the Winter Warlock imaginable. Gadzooks, a mentally deficient bear living on the mountain, steals the eggs, so he doesn't get to deliver them in year one. Unfortunately, he has four or five more years to get it right. 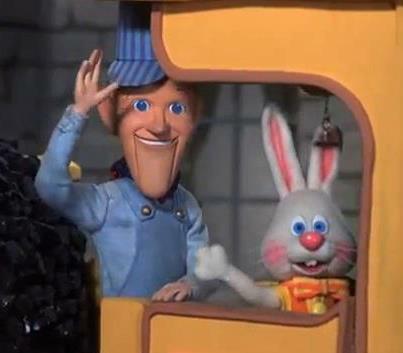 The town on the other side of Big Rock Mountain is cleverly named "Town" (not joking), which is a goddamn carbon copy of the town Burgermeister Meisterburger ran back in Santa Claus is Coming to Town. Here, the town actually has a kind but cowardly child king who's controlled by his cruel aunt, Lilly, who's effectively outlawed all children except her nephew and every kind of food that isn't a bean. Oh, there's also a hobo named Hallelujah (still not joking about these names) who helps Sunny and summons an army of hobos to build a railroad in what has to be the single most convoluted excuse to wedge a song into a special I've ever seen. That would be a sanitized version of "Big Rock Candy Mountain," incidentally, and it's maybe the fourth or fifth most annoying musical number in this overlong piece of junk. Except for the lame attempt at a title song, the songs have nothing to do with Easter and are completely random. It sounds as though the songwriters just pulled whatever junk they'd cut from other things out of the trash and then wrote a plot around it. Like "Santa Claus is Coming to Town," this features a number of brief sequences ostensibly explaining elements of the holiday. *Spoiler alert* You've already figured most of them out by reading the premise above. Unlike "Santa Claus is Coming to Town," this features absolutely no whimsy, artistry, or interesting characters. But, again, I expect you got that from the premise. They deal with Gadzooks by giving him a new suit, much like they gave Winter Warlock a toy train. As for Lily, they give her a flower, unlike Meisterburger, who died alone and unloved. Okay, so there was one other change. 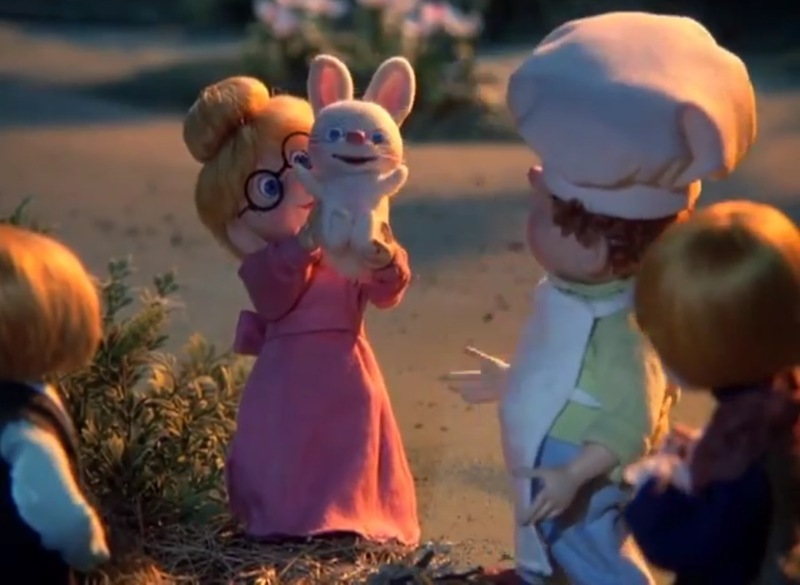 Rankin-Bass produced a lot of great stop-motion entertainment over the years, but this wasn't one of them. I'm not sure this is the absolute worst of the bunch, but it's definitely in the bottom tier of uninspired cash grabs. There's really nothing here worth wasting your time with - rewatch "Santa Claus is Coming to Town" instead, even if it is Easter. Seriously - verisimilitude isn't worth sitting through this. A special "thanks" to Sam for suggesting this. And by "thanks", we pretty much mean "screw you." This was terrible.